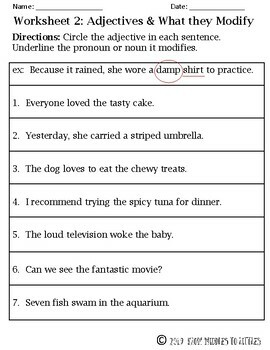 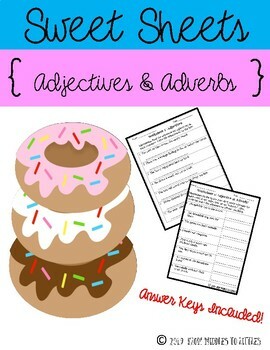 This adjective & adverb activity is great for introductory practice and/or remediation! 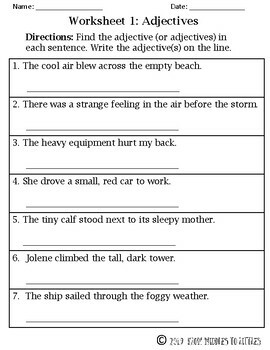 Page 1 provides scaffolded examples, followed by 5 practice worksheets. 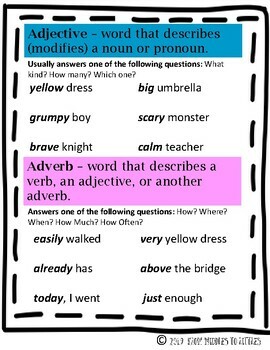 --1 informational sheet with definitions & examples of adjectives and adverbs.